TMJ is the abbreviation. The “T” stands for temple. That’s where the joints are located just below the temples on both sides of the head. The temporal bone, is the s -shaped underside area of the skull just in front of the ear where the end of the mandible, the condyle, rests when the teeth are touching. 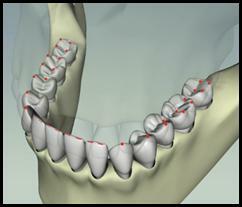 When the teeth first move apart the mandible simply rotates like a door hinge or like a ball in a socket. This is how hips, knees, and toes move. As the mouth opens wider, the TM joint shows how it's unique. The mandible begins to slide forward and down the slope of the s-shaped Temporal Bone. A healthy pair of sliding TM joints, one on each side of the mandible, allow us to slide directly from side to side and front to back from a closed position. They allow us to chew on one side of the mouth when necessary. We can slide the jaw forward so our front teeth touch to snip a thread in two. A healthy pair of TM joints slide the jaw to a much wider opening than simple rotation would allow. With a healthy set of joints we can bite into a large apple, break into a wide yawn and laugh out loud. 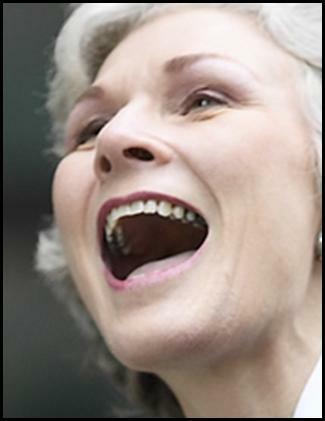 The healthy sliding action protects our ear canals from the jaw movement and allows us to breathe with our mouths wide open. 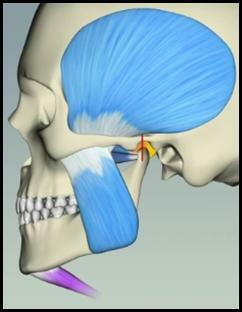 When you say TMJ remember that it includes two joints that function as one unit since they are both moving one single bone, the mandible. A problem in one joint is always shared with the other.